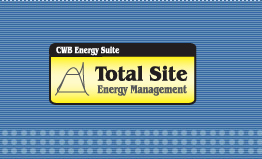 Our Total Site Energy Management tool is designed to deal with the problem of how best to supply the steam and electricity needs of an entire plant site. It provides an environment that enables you to simulate, validate, and optimize the energy flows (fuels, steam at various levels, and electricity) in the plant site. There are two main components in the site: the Power Plant(s) – Suppliers and the Process Plant(s) – Users. These two components are linked through site-wide (as well as local) steam headers and electricity grids. The demand for utilities varies with the production capacity of the various plants at the site. Because of the varying cost of fuel and power, and the varying utilities’ demand, the operation of the utility plant needs to be constantly tuned to achieve optimum operation. The Total Site Model is a mathematical model which can model all the interactions in the utility and the production plants and capture the significant potential present here. Which fuels should be used in which boilers? Which boilers should be used? At what loading? What happens if the load is changed? How efficient are the turbines? Can the efficiencies be improved by changing the steam flows? Should we buy or generate electricity? What contract terms will be profitable? How can we meet steam and power demands in view of the future expansion? Future changes in fuel and electricity prices? Where are the bottlenecks in the current utility plant, and how should the existing configuration be modified? What is the impact of startup or shutdown of certain plants or equipment? 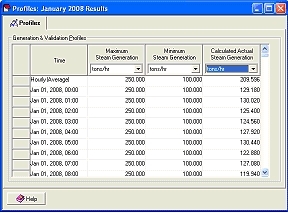 The Total Site Energy Management analysis tools are used to create and analyze models for the power plant unit operations (boilers, steam turbines, process drives, gas turbines, and heat recovery steam generators) based on historical data. 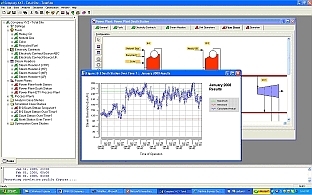 The analysis tools also provide direct access to thermodynamic properties of water and steam. 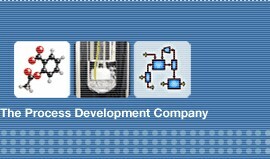 These properties are based on the IAPWS Industrial Formulation 1997 of the ASME steam tables (IAPWS-IF97). The Total Site Energy Management simulation tools are used to simulate the performance of individual power plant unit operations, of individual power plants, and of the entire site. 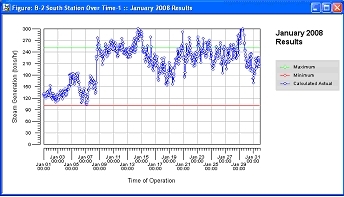 These simulations provide insights into efficiencies of operation and can be used to identify and fix general improvements to the current operation. In addition, they can also be used to evaluate and compare the operating costs of several “What-If?” scenarios and help make future planning decisions. What is the bottom-line impact when the demands increase or decrease? 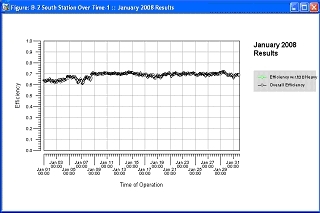 How can the true utility costs lead us to improvements over the optimal operation? What is the total amount of CO2 emitted, where and how much? What is the co-generation efficiency for the site? How do the CO2 emissions and co-generation efficiency change in relation to operating costs? The Total Site Energy Management optimization tools can be used to optimize the energy (steam and power) flows through the entire site at any instant of time or over a period of time based on the operating capacities of the process plants and the operating constraints of the power plants. The optimization tools are used to quantify the operating cost savings that can be obtained from the current operation of the site. They can also be used to evaluate operating cost savings from additional capital investment and the associated trade-offs. The optimization tools also calculate the marginal costs of utilities (all levels of steam and electricity). These costs can be used to make decisions such as whether or not to buy electricity and at what price the electricity contract is attractive. The optimization tools also provide the ability to evaluate how sensitive the optimal operation and the optimal operation costs are to changes in demands of various levels of steam and electricity. 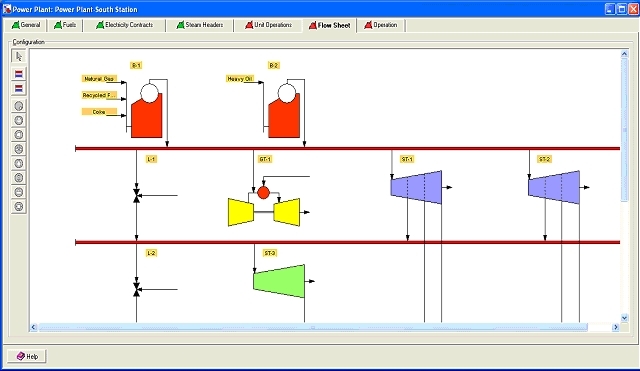 Total Site gives the user an understanding of the energy (steam and power) flows through the plant site. It also gives the user powerful tools to manage the plant site fuel and power consumption. 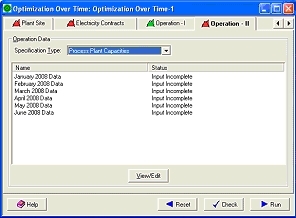 With such a tool, the planning and business decisions for maintaining profitable operation of a plant site become easy. To place an order, or for more information, please contact us by phone, or by email at sales@cwbtech.com. K. Hirata, H. Sakamoto, K.Y. Cheung, L. O’Young, and C.W. Hui, “Simultaneous Site-Wide Energy, Waste and Production Optimization – Industrial Case Studies,” European Symposium on Computer Aided Process Engineering-14, Lisbon, Portugal, A. Barbosa-Povoa and H. Matos, eds, Elsevier, Amsterdam, pp.925-930 (2004). K. Hirata, H. Sakamoto, L. O'Young, K. Y. Cheung, and C. W. Hui, “Multi-Site Utility integration--an Industrial Case Study,” Computers & Chemical Engineering, 28, 139-148 (2004). 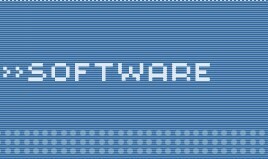 K. Y. Cheung, C. W. Hui, H. Sakamoto, K. Hirata, and L. O'Young, “Short-Term Site-Wide Maintenance Scheduling,” Computers & Chemical Engineering, 28, 91-102 (2004). K. Y. Cheung, W. K. Li, C. W. Hui, H. Sakamoto, and L. O'Young, “Universal Plant Model for Production Planning,” Proceeding of the 5th Conference of Process Integration Modeling and Optimisation for Energy Saving and Pollution Reduction (PRES'02), Prague (2002). K. Y. Cheung, and C. W. Hui, “Total-Site Maintenance Scheduling”, Proceedings of the 4th Conference on Process Integration, Modeling, and Optimization for Energy Saving and Pollution Reduction (PRES'01), Florence, Italy (2001). C. W. Hui, “Determining Marginal Values of Intermediate Materials and Utilities Using a Site Model”, Computers & Chemical Engineering, 24(2-7), 1023 (2000).